Euonymous alatus shrub, Fall color. en.wikipedia.org (Accessed 6/2018). 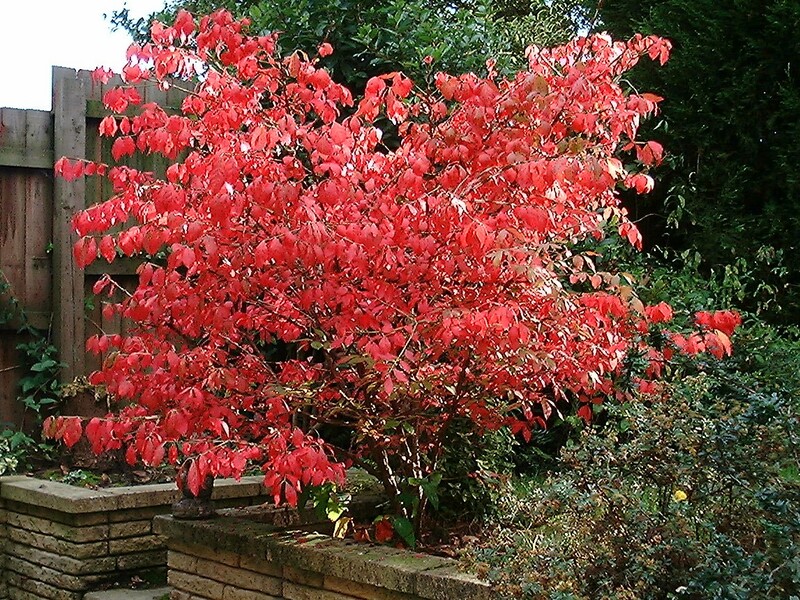 Euonymus is a genus of shrubs, small trees or vines, twigs often 4-sided. Euonymus americanus leaves and flowers. Suzanne Cadwell. NC Extention. plant.ces.ncsu.edu (Accessed 5/2018). Leaves opposite, deciduous to evergreen. Flowers small, usually greenish to white, 4-6 parted, stamens short growing from a disk-shaped structure, ovary 3-5 parted, stigma sessile. 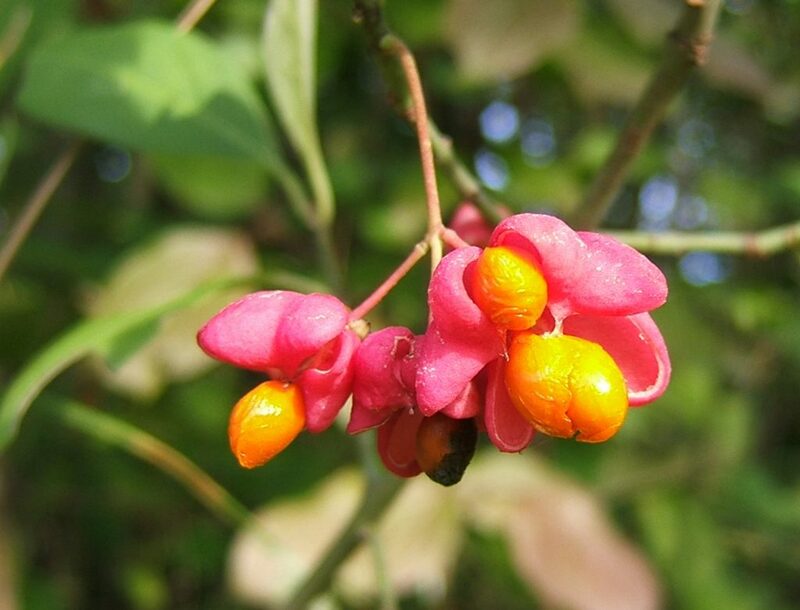 Euonymus americanus flower close-up. Jim Conrad. Naturalist Newsletter. backyardnature.net (Accessed 1/2018). Fruit orange to red, sometimes lobed, opening to reveal seeds covered by a orange to red aril which is attractive to birds that disperse the seeds. 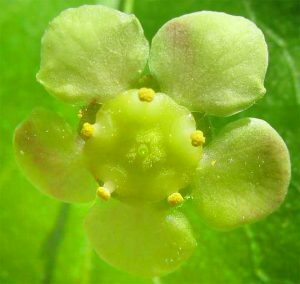 Euonymus europaeus fruit. 2006-10-09. Samen02. commons.wikimedia.org (Accessed 6/2018). 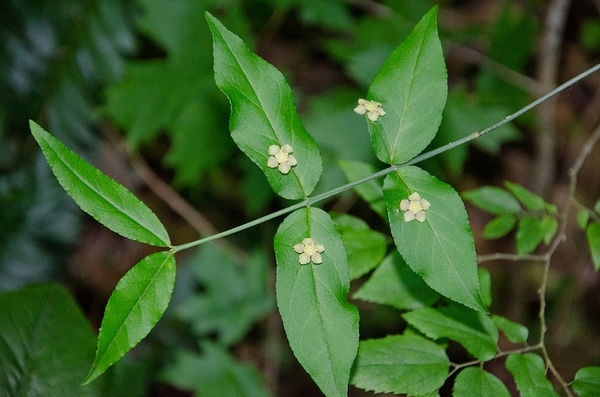 Notes: Several cultivated species have escaped and become invasive in natural areas.